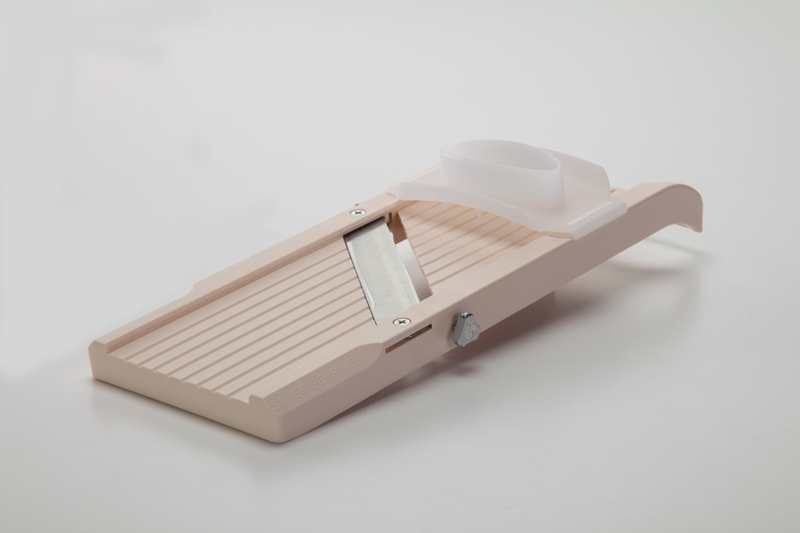 Mandoline that is needed at every professional kitchen. 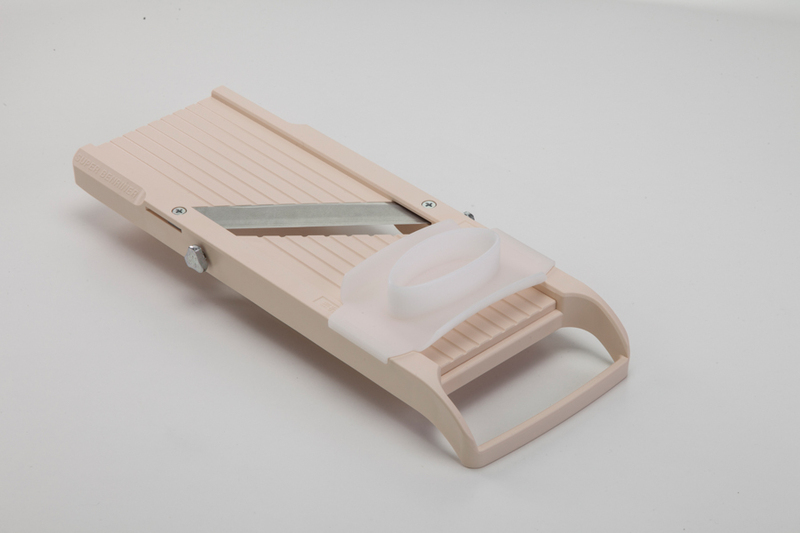 Includes safety pusher and 3 interchangeable blades for a wide variety of garnishing. Flexible thickness adjustment with easy blade replacement will save a lot of time. Made in Japan.